For her deployment to the Middle East, Alaska Air National Guard Staff Sgt. Kristen Hall packed a blanket that her three young children often wrap themselves in. "It smells like home," she said early Tuesday in a cavernous building on Joint Base Elmendorf-Richardson, surrounded by more than a dozen airmen from the Air Guard's 176th Wing, all dressed in camouflage uniforms and waiting to board the plane that would fly them thousands of miles away. They won't return to Alaska for about four months. Their mission: Support the fight against the Islamic State, said Lt. Col. Matt Harper, commander of the wing's 210th Rescue Squadron, an elite search-and-rescue unit. Altogether, about 60 airmen from the 176th Wing will leave JBER this week on a series of flights headed for the Middle East, including pilots and aircrew with the 210th, as well as maintenance and support units. They will join 20 or so of the wing's airmen who left the Anchorage military base last week, said Maj. John Callahan, spokesman for the 176th Wing. For the next four months, the pilots and flight engineers will rescue injured troops from combat zones overseas, he said. Maintenance and support crews will keep the helicopters ready to fly and run operations on the ground. Hall, who is 29 and lives in Eagle River, will tally flight hours to make sure the mission stays within budget. On Tuesday morning, before sunrise, she sat on a wooden bench and held her cellphone in one hand. While she's away, she said, that phone will tether her to home and to her children. "FaceTime is a huge, huge thing for us," she said. "It's easier for the kids to understand that yes, you're still around even though you're so far away." As hours passed, Hall and others talked in small groups. Some ate doughnuts or drank coffee. Some fell asleep. A few fiddled with their cellphones. Senior Airman Amber Gardner of Anchorage, 25, stood near her backpack and a plastic grocery bag full of snacks, including chips and homemade cookies. Tuesday was her first deployment, she said, and she felt a knot of conflicting emotions. "I'm anxious, nervous, excited — a little bit of everything," she said. "I'm excited just because it's a new thing that I get to do. I'm nervous because I'm leaving my son." Before she left, Gardner and her 6-year-old son went to a photo booth at the movie theater. She brought a strip of the photos with her and left the other copy with him "so he can look at it whenever he gets lonely," she said. Other airmen also said they packed photographs of family and friends into their duffel bags to accompany them overseas and remind them of home. Some also brought cards, books and music. Airman 1st Class Marshal Comer brought drumsticks "so I can practice over there," he said. Tech. Sgt. 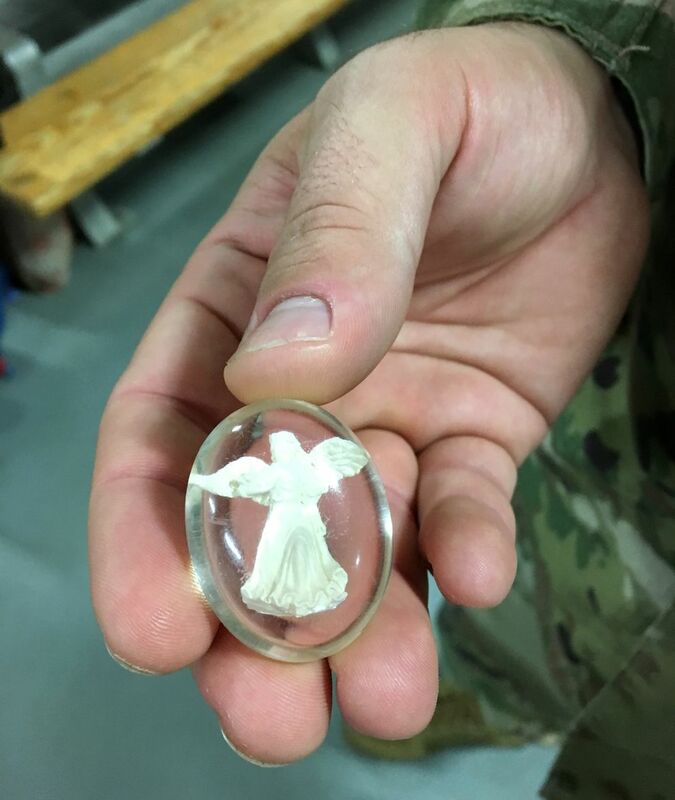 Tony Bockelman kept a tiny angel in his pocket for luck. Harper said the Air Guard could not say more specifically where Hall, Gardner, Comer, Bockelman and the other airmen were headed Tuesday due to security measures. Airmen with the 210th Rescue Squadron along with maintenance and support personnel last deployed in spring 2015. They went to Djibouti in Africa, Harper said. Those deploying Tuesday included full-time airmen and Alaskans who work full-time jobs in addition to serving in the military. Comer, an avionics technician, works at the Federal Aviation Administration. Comer, a 21-year-old who grew up in Wasilla, said he volunteered for the deployment, filling the space of another who dropped out. He said he looked forward to the next four months. "I think it will be a really awesome opportunity," he said. "The whole reason we do this thing is to protect our country." 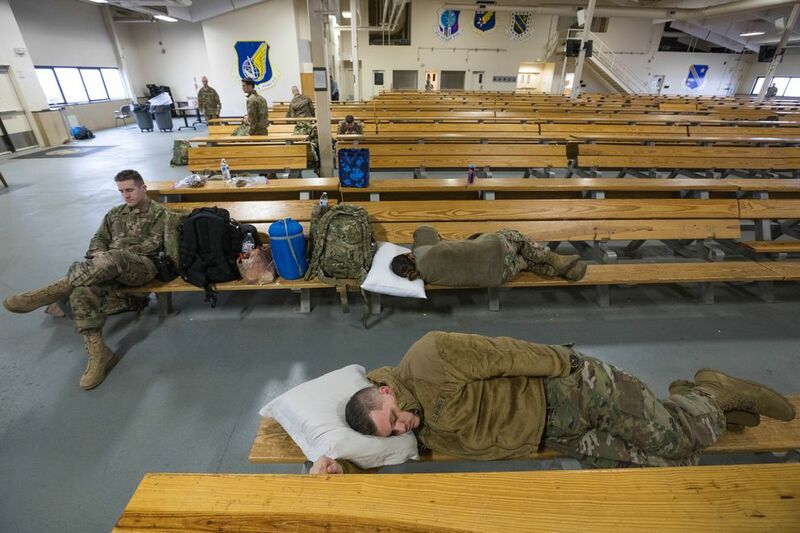 By Tuesday, most of the roughly 2,100 soldiers with the Anchorage-based 4th Infantry Brigade Combat Team (Airborne), 25th Infantry Division, known as the "4-25," had also deployed, according to Staff Sgt. Daniel Love, spokesman for the 4-25. That's more than the 1,500 soldiers originally expected to go overseas. The soldiers are headed for Afghanistan, Love said.